Last December, I used the most primitive and the latest cooking technology within the course of a week. 12 December is Jamhuri Day in Kenya celebrating the country's independence. Last year's holiday came on a Friday so we all had a long week end. I went camping with a driver-guide in Amboseli and Tsavo West National Parks. I enjoyed spotting all the elephants and observing active hyenas for the first time in Amboseli. The bushy hilly landscapes of Tsavo West were very beautiful; very dense too, making animal sighting more difficult but very rewarding when we chanced upon them in the bush. It was my first experience of cooking on a camp fire. I had seen trek guides in Vietnam assemble small wood for a fire, light it up, wait for it to die down a bit so as to start cooking, with only a little pile of red embers needed to get a stir-fry going. It looked manageable. 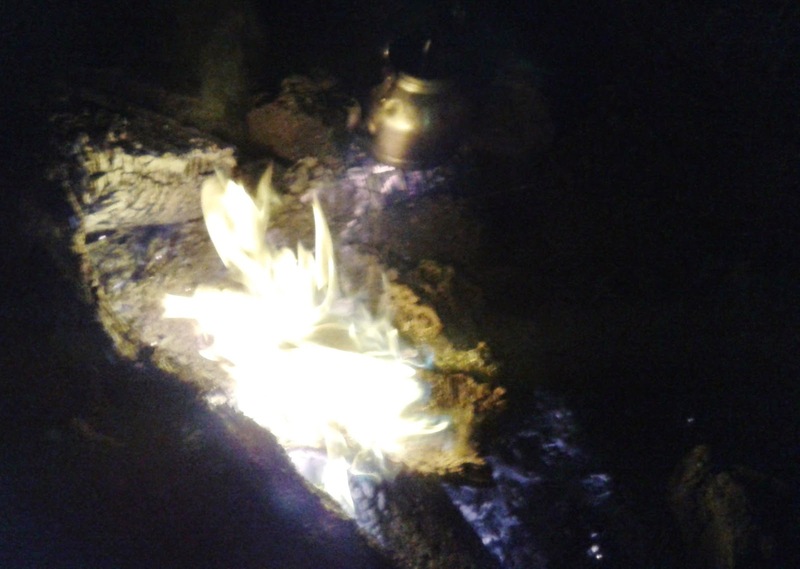 But on our first night in Amboseli, our camp fire was lit up with one sole enormous piece of a tree trunk. So the fire raged very hot and it was difficult to get any embers from it: I was either too far from the heat and the water would not boil or I had to get really close to the heat source and scorch my face and hands. That is when I discovered that corrective glass lenses do not like extreme heat. While I was negotiating the fire's heat, my vision suddenly blurred. I wiped my glasses but my vision was still out of focus. As it was also pitch dark, it was difficult to tell whether my eyes had suddenly gone wrong, my glasses were at fault or we had all entered into a blurry third dimension. But then I took off my glasses and the vision was better and looking closely at my glasses' lenses, I saw that they were all scarred useless. I had to continue the two other days of safari and drive home to Nairobi without glasses. Luckily, one of my eyes has near perfect vision so I managed without too much discomfort. Back to camp fire cooking. On our second camp night in Tsavo West, we had a grill pit and my guide prepared the fire with smaller wood which made spreading out the heat below a flat surface easier. Yet, all the food still smelled very smoky and I also felt like a piece of smoked ham when I slipped into my sleeping bag on both nights. However, my guide and dinner companion was always delighted with the food; his Maasai mother used to cook by open fire. And the week after that I arrived in my parents' newly refurbished country house in Southwest France. My mother had set up a large kitchen with all brand new modern equipment: oven, microwave, five-burner gas stove, and an impressive wide-surface cooker hood. I spent a lot of time trying out the different settings of the new oven, which of course were very different from the older oven she had. 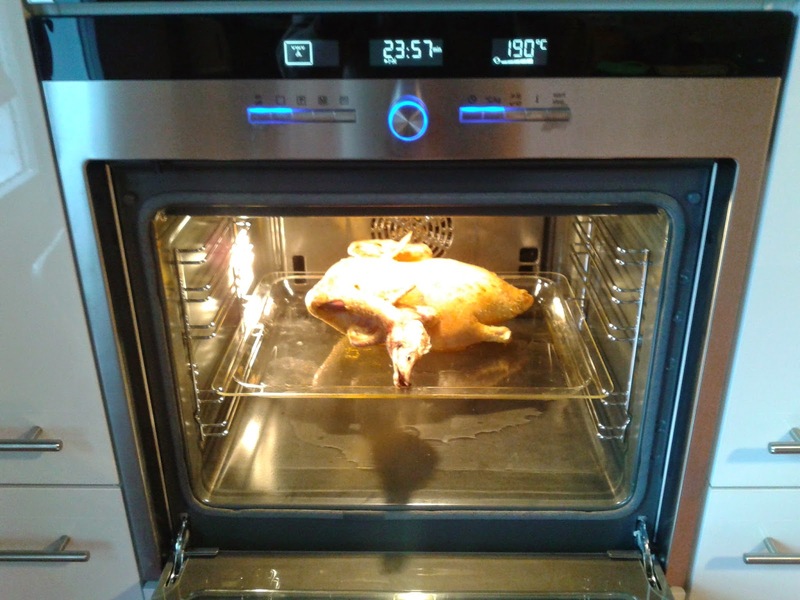 Fruit tart, sponge cake, vegetable gratin, lamb shank, and our Christmas day's duck à l'orange: all were cooked to perfection in the brand new oven. Only for the Swiss roll of the Christmas log cake did I keep to the original recipe's oven settings; it would have been horrible for that to go wrong.